Recently Soap and Glory's Heel Genius made an appearance in my May Beauty Favourites and as promised I've finally gotten around to reviewing it for you all. I must admit I never really bother with my feet, the most I usually do is paint my toes and that's about it, but as the warmer weather is on the way and I'll be wearing sandals and flip flops more often I don't want me feet looking all dry and horrid so Ive been using Heel Genius constantly and the results are incredible. Soap & Glory's Heel Genius contains ingredients such as Macadamia Oil, Menthol, Orange and Lemon Fruit Acid Smoother's, Bilberry and thats just to name a few so as you can imagine this smells lovely, it has a fruity fragrance with a hint of mint and is so refreshing for your tootsies. 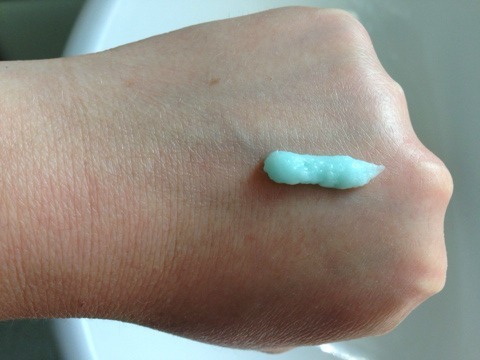 The formula of Heel Genius is quite different to any of the Soap & Glory moisturisers that I've used before as Heel Genius has a blue, gel like consistency which applies quite thickly to the feet at first but then becomes more like a cream as your rubbing it into your feet. The way I like to use the Heel Genius is just before bed, I rub in a generous amount all over my feet and in between my toes until the cream has disappeared and sunk into my tootsies, it honestly feels so nice and the menthol within the cream gives off a slight cooling sensation. If your feet are extremtly dry and chapped you can pop on a thick amount of the cream and then pop on some cotton socks to sleep in overnight, this will allow the cream to slowly sink into your feet giving them a deeper dose of moister. Then the verdict in the morning is.... Extrently soft, pampered feet that are summer ready, I would say if your using the Heel Genius on chapped feet, it will take you a few nights of using the cream before you do notice an improvemnt but I honestly cant beleive the differnvce it makes. Overall I'd highly suggest getting yourself a tube of this stuff, it's honestly my new love. It makes my feet feel so pampered and even if your like me and cant be bothered with your feet, it only takes seconds to rub in before bed so it really doesnt feel like a chore, woohoo! Soap & Glory's Heel Genius will set you back £5.50 for a 125ml tube of gorgeousness for your feet, and trust me it's worth every penny! Have you tried Soap & Glory's Heel Genius beaut's?? What did you think?? I's love to know! I've never tried foot cream.. the packaging is so nice I just want to but it!! lol! I love this! I need to repurchase! Like you I tend to ignore my feet as much as possible. It is 30 degrees or more in Berlin lately though so I need to give this I go. I am a fan of Soap & Glory products in general so am sure to like this.